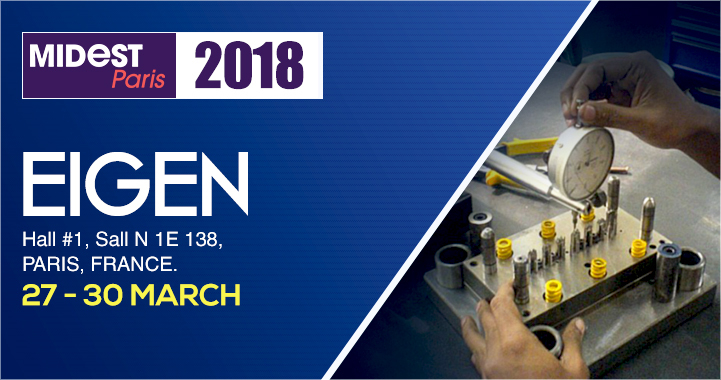 MIDEST 2018, Hall # 1 Stall No IE 138 Paris, France, is a wonderful opportunity for the Eigen team as it will help broaden our horizons and give an unforgettable opportunity to conduct meetings with both current and potential customers. It will help us showcase and demonstrate our latest products and services, gauge and evaluate the work of industry partners and customers and keep abreast of the recent market trends and opportunities. The show will certainly help us to make new contacts and put together projects, collect information and examine, explore and analyze the latest technology trends and innovations. We will be honored to rub shoulders with the very best in the industry and share valuable insights and experiences with them. MIDEST helps bring out the latest innovations worldwide and showcase a wide variety of options for attendees and business to mingle and interact with each other, providing a well-rounded booth experience that leave a lasting impression with a prospective customer for months. We hope to impress the potential customers with our top-notch tooling capabilities, sub-assembly capabilities and proficiency in manufacturing executions.